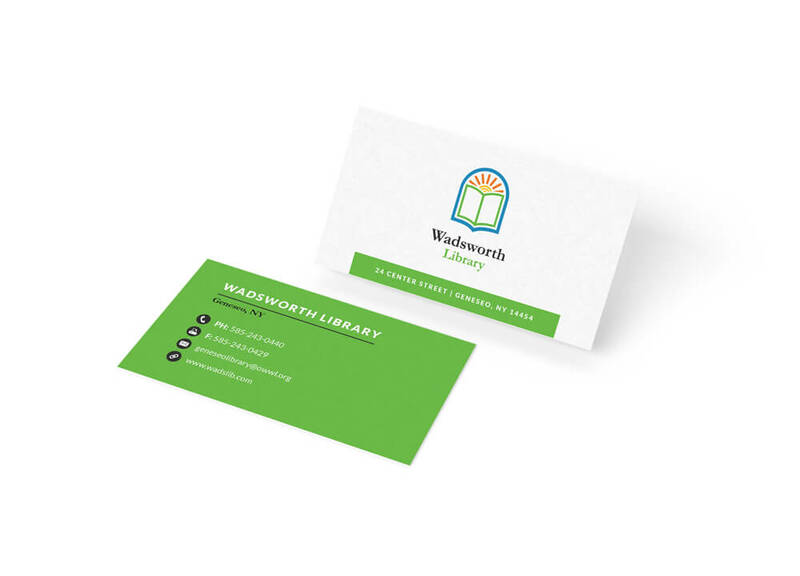 Joanna Walters, a self-taught graphic designer out of Geneseo, NY discusses her recent work on the rebranding of Wadsworth Library. Walters describes what the different colours and elements of the logo represent, and shows the rebrand in context – on a business card (above), on letterhead, and as part of a web redesign. Walters also prepared a brand manual for the Library. Read the full story at Joanna Walters Design.